Are you tired of traditional auto garages and service centers that don’t use genuine OEM parts? Your lengthy search may now come to an end! 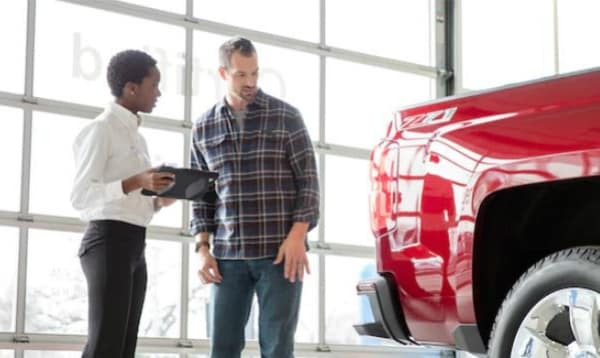 With the auto service and maintenance center located at our Chevrolet dealership in Merrillville, IN, you’ll benefit from state-of-the-art diagnostic and repair equipment, genuine parts directly from the manufacturer, and installation performed by factory-trained and certified technicians. It is vital for your car’s tire to be aligned. If your vehicle is pulling in one particular direction, this means that your car’s tires are misaligned. Other occurrences that can warn you about this are if your steering wheel is off center while driving or if it is vibrating. 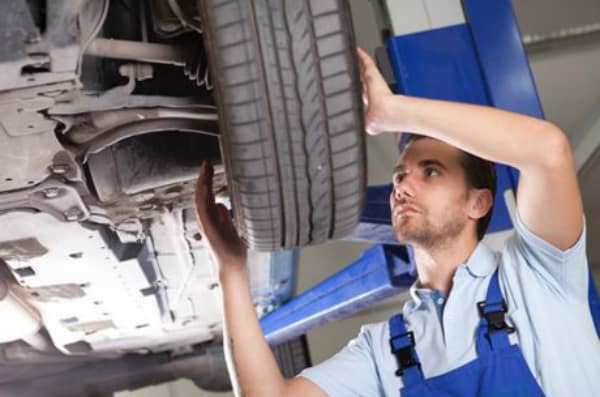 Tire alignment is important for your car to run properly. Without tire alignment, the tires begin to wear out unequally as more pressure is put on one tire. If you want to see how much your car’s tires are wearing or if they are wearing unequally, you must check the tire tread. It is the best indicator of this. Tire alignment doesn’t take that much time or effort. Tire replacement is necessary after a certain point. Exposure to the elements, extreme climates, rough terrains and age, all this has a degrading effect on the tire. In fact, after the tire tread wears out a car’s tires have less traction and become more prone to skidding or puncturing. Not only can this have dire consequences, it can lead to accidents. Vehicle manufacturers even recommend that if your car’s tires have been in use for over 6 years they should be replaced whether or not they are worn out. One thing to keep in mind is that after Tire replacement, you will need to get tire balancing done. This is a process that determines by measuring a tire determines if it is balanced correctly. If any changes are necessary, they are corrected with the help of correction weights. When it comes to car maintenance, oil change is a fairly simple task. It is when you take out the old oil in your car’s engine and replace it with fresh oil. As the oil is responsible for keeping the engine lubricated, thus running properly, it loses its properties over time. If you don’t change your engine’s oil after a certain point, it begins to cause problems. It can even cause your engine to break down, which is something everyone wants to avoid. An oil change is necessary after 3000-5000 miles of travel. Synthetic oil can function for double the amount of time. After an oil change, must be disposed of properly by taking it to a recycling center, if you are having the oil change done by a mechanic shop they will take care of this step. With over 25 years of experience, Mike Anderson Merrillville’s auto body shop is one of the best in the business. No matter how big or small your car’s problem is, our technicians are more than qualified to fix it for you. Their I-Car, ASE and/or GM certification and years of experience give them a special advantage over most other technicians. We do all kinds of repairs; rust repair, paintless dent repair, free loaners, glass repair and replacement and perform many other services. In fact, most of our repair work has a lifetime warranty attached to it. As experts in car repair, we also have a Collision Center that is dedicated to cars that have seen extensive damage due to collision. After we are done fixing your car, we can assure you that not even you will be able to tell where the damage was. All of our equipment is state-of-art, this means that the care that your car will receive will be of the highest quality. We also order original replacement parts for our customers if so required. No other dealership will be able to provide the same quality of care at such affordable rates. We also offer a number of online specials and discounts for certain services. You should definitely have a look at those before you come to visit us. A lot of dealerships claim to be the best in the business, but very few have proof to back up that claim. Unlike those dealerships, when Mike Anderson Merrillville claims that we are the best dealership available, we have definite cause to make that claim and proof to back it up. For 7 years in a row, we have won the dealer of the year award. We hope to keep this record unbroken by providing our customers with the best quality of service possible. Bring your Chevy in for Service Today! 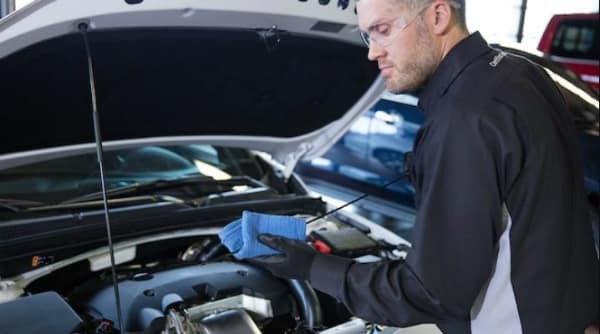 For more information on the auto repair and maintenance center at our Chevy dealership in Merrillville, IN, please don’t hesitate to contact our team of technicians through our online form or by calling them at 219-947-4151 ext. 4000.